Paris Flea Market is an adorable collection and all the papers have so many sweet details. One thing I love about Pion papers is that they are so beautiful themselves that you don’t have to add that much decorations. 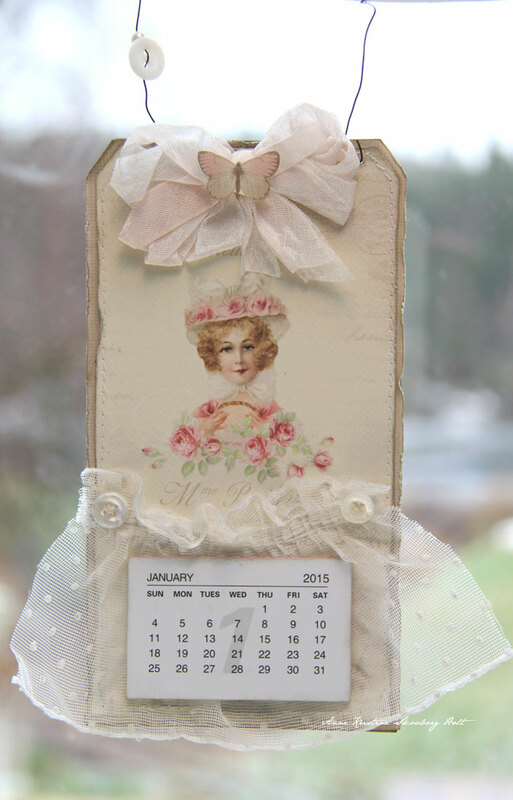 Here’s a calendar for 2015 made using an image from the sheet Parisian ladies together with some butterlies from the sheet Postcards.